It was an experience never to be forgotten for people of Limbe, Republic of Cameroon as the servant of God who is the President of the Omega Fire Ministries worldwide (OFM), Apostle (Prof.) Johnson Suleman, held a three-day healing conference in the township. 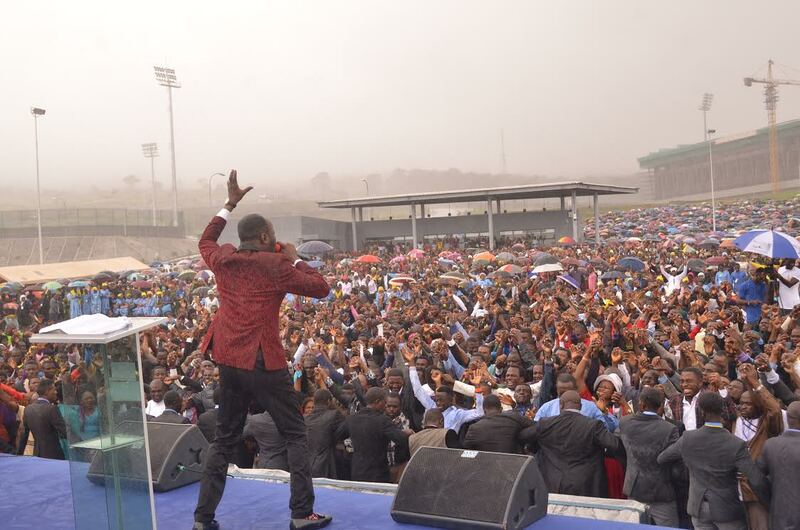 It was the country’s edition of OFM’s ‘Help From Above’ crusade being hosted to restore souls across the world and second visit since August 2015 when the man of God held the ‘The Invasion 2015’ at the Douala Sports Stadium, Douala, Cameroon. 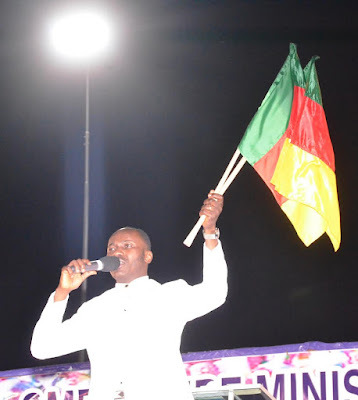 Apostle Johnson Suleman, who was in Cameroon with his able lieutenants and senior pastors of OFM like Rev. 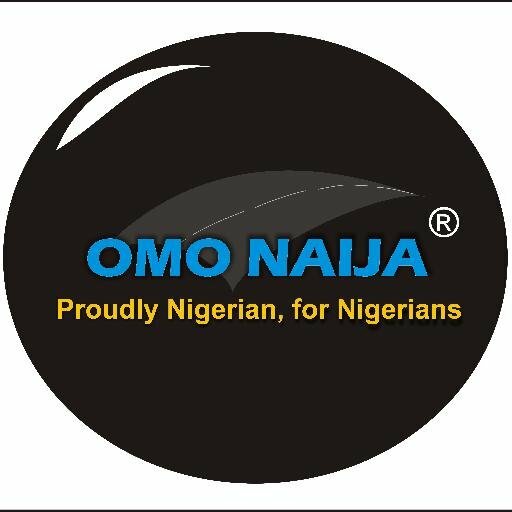 Kingsley Aigbe, Rev. Fidelis Ayemoba, Pastor Azemhe Azena, Pastor Mike Davids, Pastor Henry Abhulimen, Pastor Sam Awodi , Rev. Amadi Chibueze (SOP), Dr. Paul Alfred Abraham, the ministry’s media team, ensured that the gathering was a total package as, not only did the sick and the oppressed receive a touch from God, but everyone present was overwhelmed by the anointing of God's Spirit. The meeting ended on the third day with the Ministers’ Conference, designed to empower, refocus and impart the Cameroon church and unite them for the attainment of peace and progress in the country. 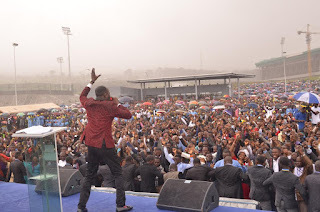 The conference which was attended by over 3,000 preachers was a great success, thus pronouncing words of blessing over everyone at the three-day crusade.